The game contains nearly 2,000 riddle-puzzle questions with answers. 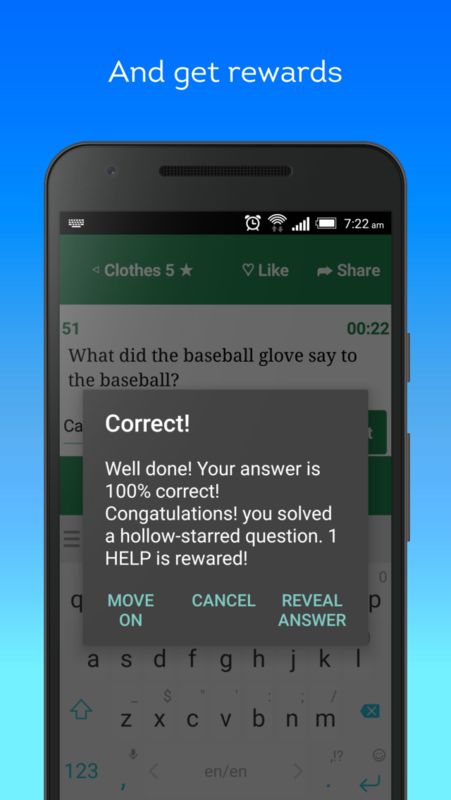 It has a large variety of topics ranging from daily life riddles to algorithm and probability questions, or even rebus and spoonerism questions. The game also includes 56 Einstein's Riddles which would take you hours to solve each question. All of these questions are systematically categorised into topics. In turn, topics are grouped into three categories: Short, Medium, Long. Questions in Short Category would only take you under 2 minutes to solve while Long Category questions can go up to an hour. 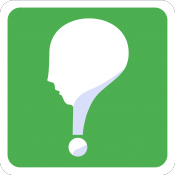 Besides that, Riddle GO allows submitting your answers and comparing them with proposed answers (correct answers will be rewarded). 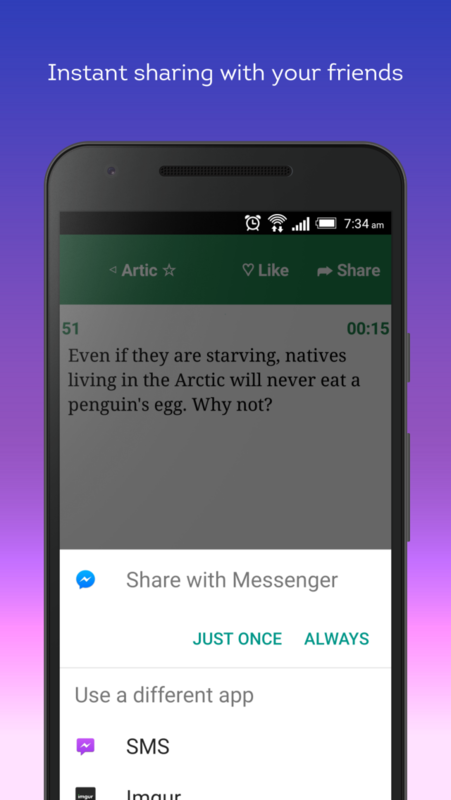 And of course, you can share any interesting question with friends. You can search questions by their names or their contents and you can save interesting questions for later review. A casual developer who is enthusiastic about developing more useful apps.